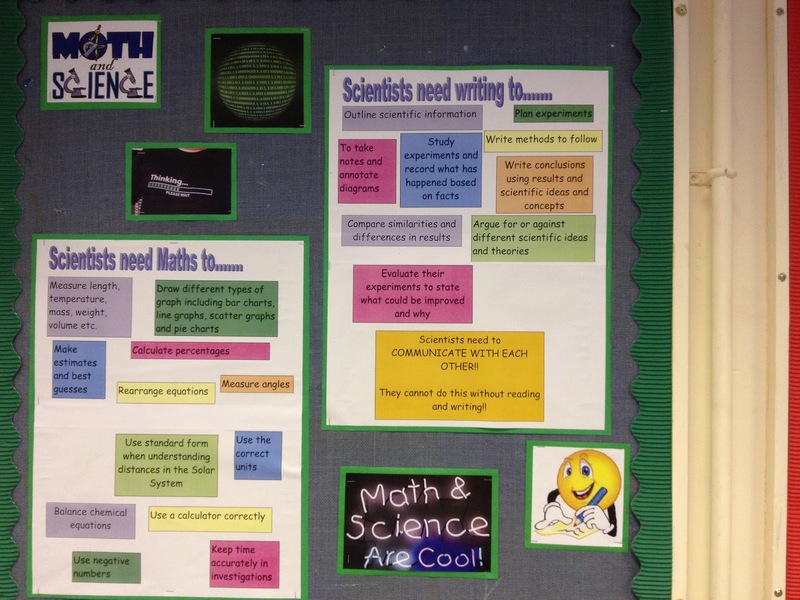 So as promised, if slightly delayed here are some photos of the display I have done to try and explain and encourage the links between Science, Reading, Writing and Mathematics taken on my phone. Some of you lovely people may have seen these on Twitter already but here goes.....please excuse the 'surroundings' and lack of board backing but my room is not exactly a palace! You might need to zoom in a bit if you want to read the writing....still learning this blogging lark! So what I was going for was a clear, visible link between reading, writing, mathematics and science to explain the reason why these things are important in science and to scientists. I'm not sure how many of the boys have noticed it, but the staff have been instructed to come and view it and make a version for their own subject...I guess this is good news for me and a little 'pat on the back' which is always nice. 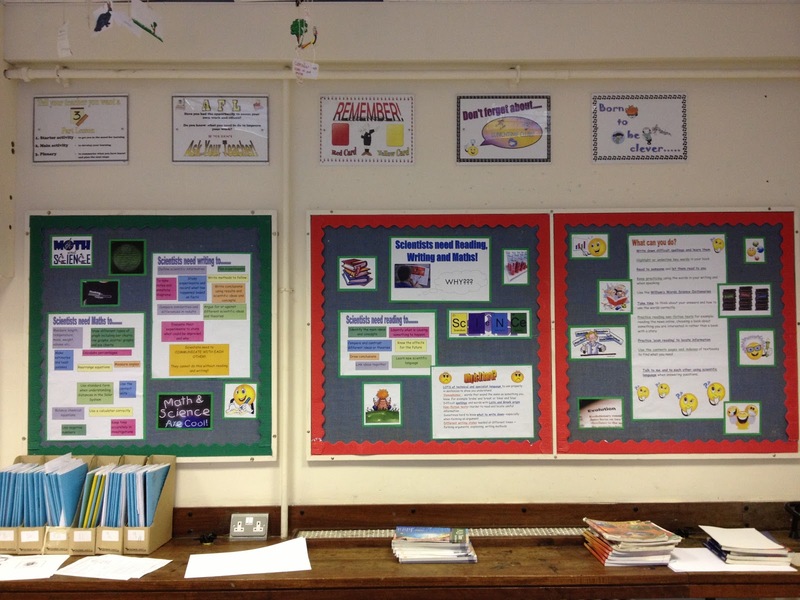 I have also been asked to support our English teacher (the man dubbed responsible for improving the literacy of these naughty boys) in some 'Literacy walks' as what I do in science is very good practice. I am pleased to be asked to do this, I really hope it means I can 'make my mark' in some way and set these kids up for the future better equipped for what lies out there. Are we noticing a difference? 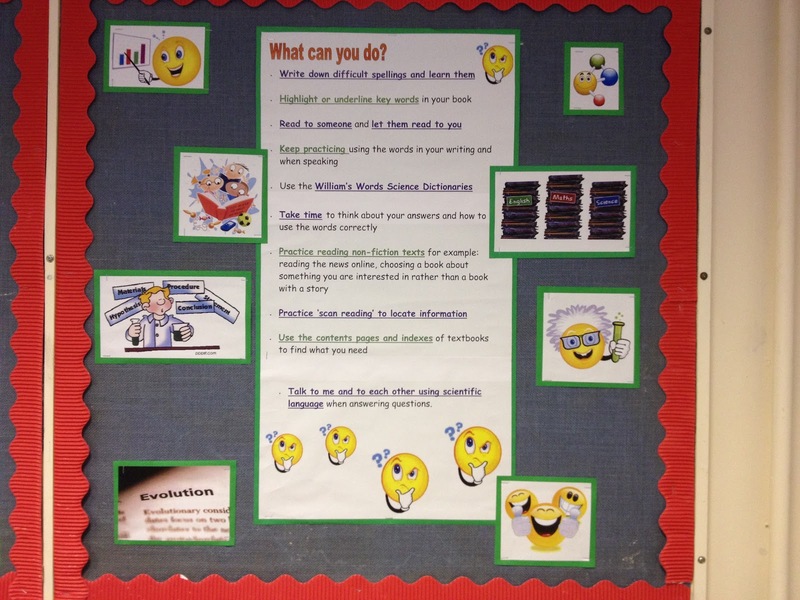 Well it is really early days but I do think many are of the students are more happy to read, and understand the importance of reading for the first time, many are less frustrated if they find a word they can't say because they have some 'tools' to at least attempt to sound it out which they did not have before. Some of them have discovered they actually LIKE reading....(shock horror!) and have found books they like....knock me over with a feather! 5. 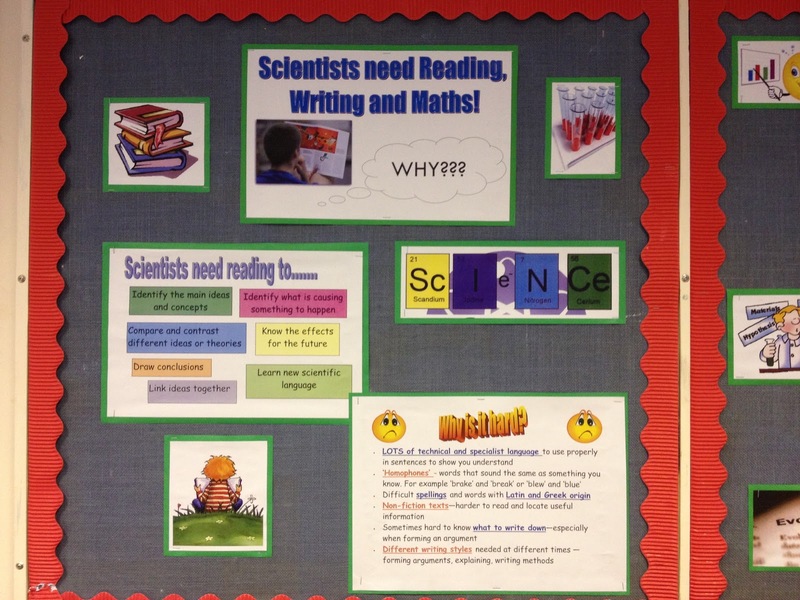 Use 'Science Web Readers' when appropriate to practice comprehension and reading non-fiction text. 7. Encourage the use of dictionaries, contents pages and indexes for locating information, it is surprising how few can actually do this! The other thing interesting me which I have been watching from afar is SOLO....I can't make up my mind whether it will work for my students or just be too demoralising if they can't get to the higher levels. I would love to have some of the successes of @KDWScience but at the moment feel it is a step too far....I would love for the BESD boys I teach to want to take control of their own learning and 'want' to learn because they enjoy it. At the moment they are not there, at least not in science....but I'll keep plugging away and see what happens. Time will tell.